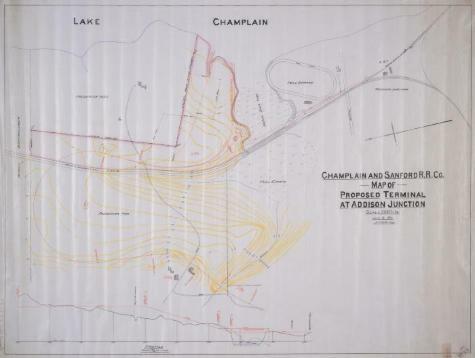 Map and profile of proposed junction of the Champlain and Sanford Railroad at Addison Junction on Lake Champlain. Scale of two hundred feet equals one inch. Source: Adirondack Museum Library, MacIntyre Iron Works records, MS 65-27, box 2, no. 36.